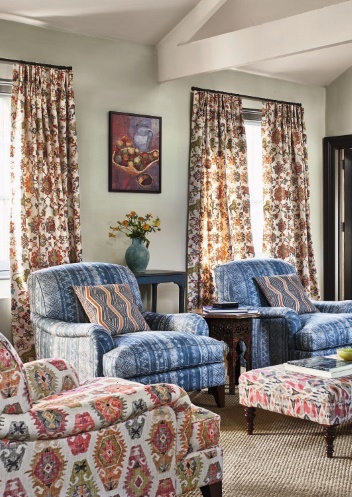 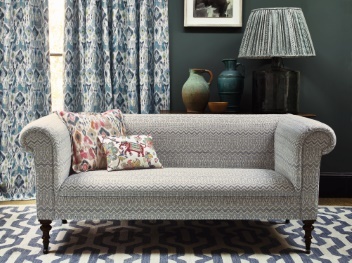 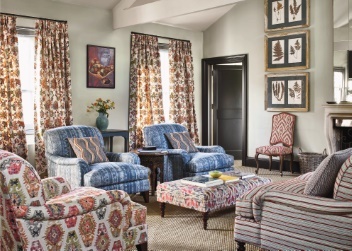 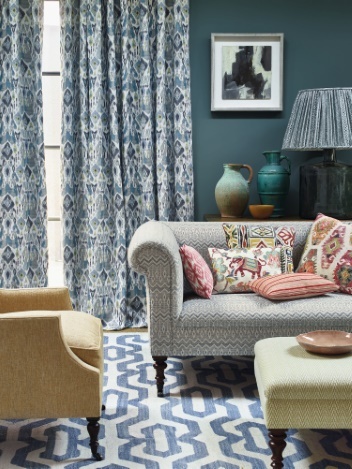 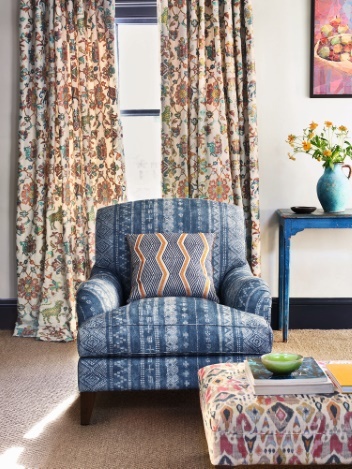 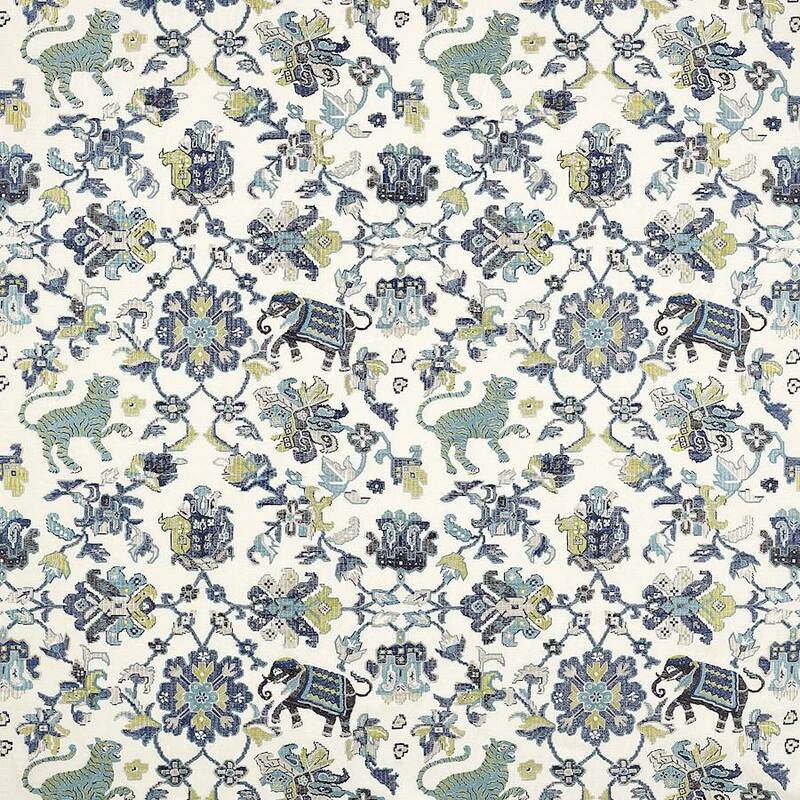 This quirky embroidered pattern was inspired by antique carpet designs from Central Asia. 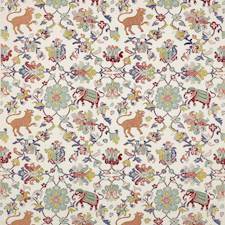 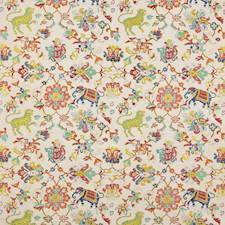 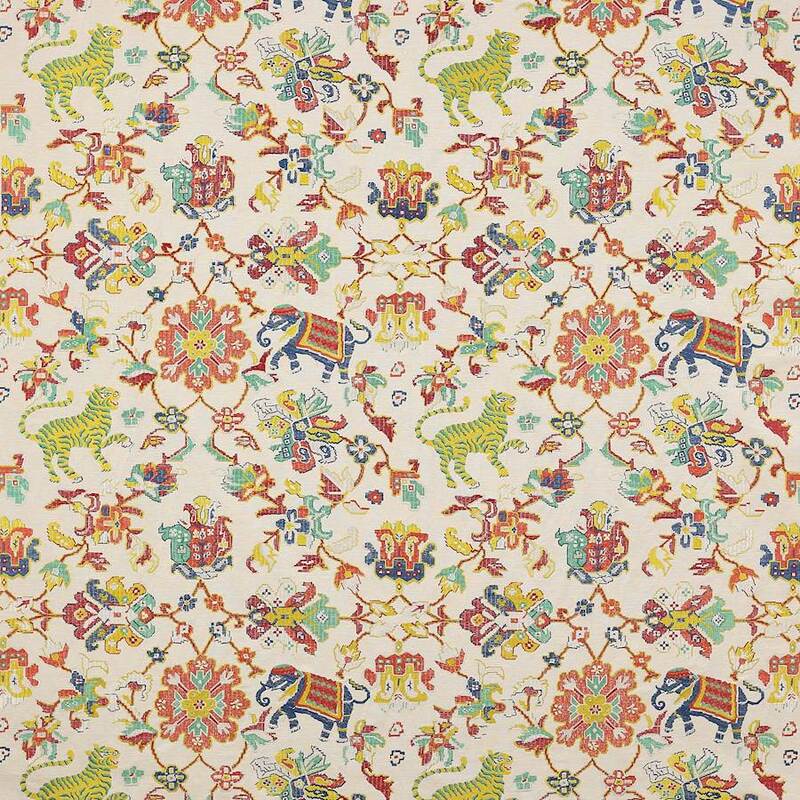 Tigers and elephants are interspersed with multi coloured stylised flowers and leaves. 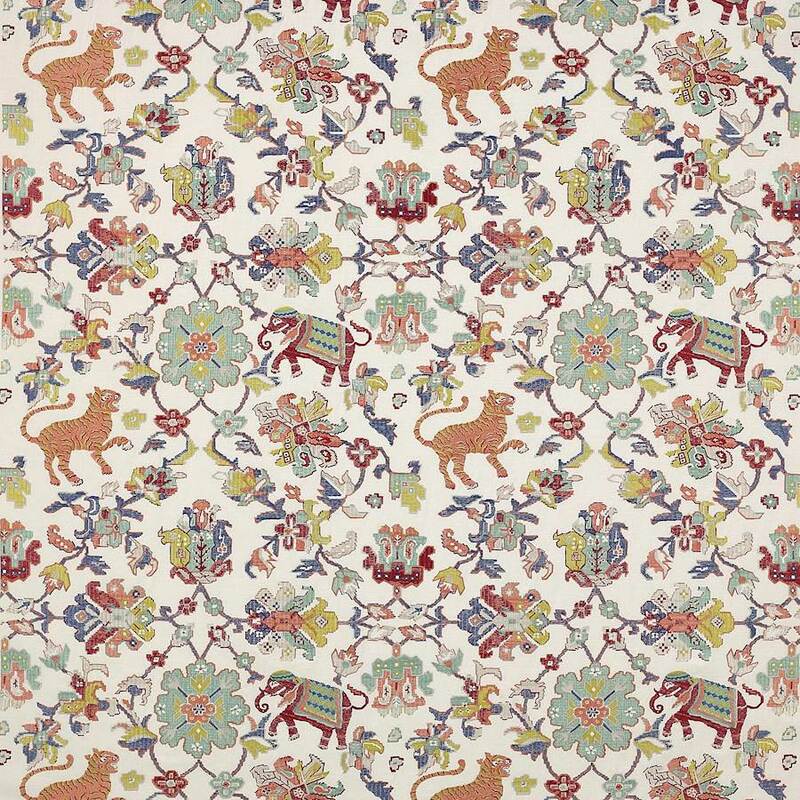 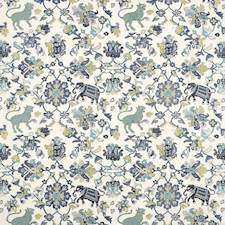 The slightly pixelated squared off shapes have been reproduced to emulate the look of a carpet or rug and this is further enhanced by the embroidered stitchwork.